Email marketing is one of the leading digital marketing techniques which provides great ROI. Earlier we have written a lot about email marketing here at TricksRoad. 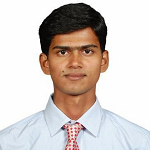 For example, you can read leading email marketing service provider and a few others to get an idea. You can use these email marketing service providers to market your product and service. The question is, how to get email IDs for those? You can definitely gather those emails from different methods, e.g. if you own a blog, you can convert blog visitors into subscribers or advertise but it will take longer to complete. You may need the email address of the decision maker of a company to pitch your service/product. HR’s contact may be needed if you are looking for a job. You may need the email ID of someone’s social profile like LinkedIn, Facebook etc. There can be many other scenarios where you need this information. Today we are going to see how you can extract the email IDs from different sources easily. The tool we are going to use is Snov.io. Snov.io Review- How to use it? You can use Snov.io in one of two ways. You can install the chrome extension of Snov.io and extract the tool and make use of other features. Snov.io also provides an excellent dashboard where you can use all the features which are explained below. To get started with Snov.io, you can install the Chrome Extension which is available for free. Then depending on the website from which you want to extract the emails you can activate the extension and get your work started. At the same time, you can also work on the dashboard and get your work done. Snov.io will not only help you to hunt the email IDs but you can validate your existing email list and send the emails for free as well. Now let’s see the different features provided by Snov.io and how those can help you. Here are some of the amazing features provided by Snov.io which we believe will be a great help to you. Domain search is an amazing and kind of unique feature not provided by any email hunter tool. Let’s say you are looking for the email ID of any company whom you want to serve or sell your product/service to, then you need to get the proper contact details. Here Snov.io will help you. Just open the website from which you want to get the email id, click on the Snov.io extension and it will show you the email IDs available for that website. In the screenshot below you can see the email ID for my blog TricksRoad.com. Yes, this is another unique feature by Snov.io where you can get the details of a company based on certain features and people associated with it. You can visit the Snov.io dashboard and choose the company profile option. Just filter the details and the associated company list will be available to you. Now from the displayed result, you can select the one you want and all the details will be shown to you as shown below. If you want to know the email ID of any particular profile then this extension is going to help. 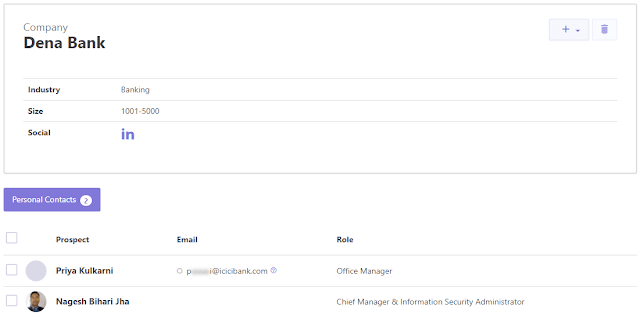 For example, if you want to know the email ID of any HR of any company, just find their LinkedIn profile and enable the Snov.io extension. It will show you the email ID associated with that profile. The similar thing works for Facebook profiles as well. You can not only find the email IDs from different platforms but can also send emails from the same platform. The most important thing is, sending emails from Snov.io is completely free. Just visit the Snov.io portal and start sending the emails as per your email list. 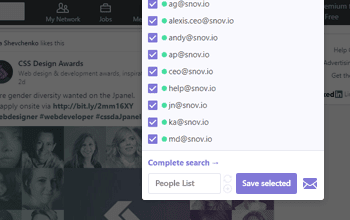 If you have an existing email list and you’re not sure whether those are active and exist then you can use Snov.io email verifier tool to ensure the active emails. This will help you filter the existing set of emails and you won’t have to unnecessarily waste your email credit if you are using any email marketing service for sending emails. Now, as you know how Snov.io is going to help you and the features of Snov.io, let’s see the various plans and pricing it offers. First of all, Snov.io is a freemium tool which means their free version is available with some limitation and if you need more there are Premium plans available. If you are an individual user with very limited use, the free version of Snov.io will be sufficient for you. If you are a team and need more credits to get your work done, you may choose from the available plans. This was the all about Snov.io review. Hope you got a good idea on what Snov.io is, its features and how Snov.io can work for you. So, if you are somehow related to marketing or business, this tool is going to be a super help for you. To summarize, here is the complete list of services, Snov.io provides. Although there are many other email hunter tools available the kind of features Snov.io provides, at this rate is really recommendable.